Mr. PAUL. Madam Speaker, the House is about to implement rule changes that will require random drug testing of all House Members and staff. Drug usage in this country, both legal and illegal, is a major problem and deserves serious attention. However, the proposal to test randomly individuals as a method to cut down on drug usage is ill-advised and should not be done. The real issue here is not drugs but rather the issues of privacy, due process, probable cause and the fourth amendment. We are dealing with a constitutional issue of the utmost importance. It raises the question of whether or not we understand the overriding principle of the fourth amendment. A broader but related question is whether or not it is the governments role to mold behavior, any more than it is the governments role to mold, regulate, tax and impede voluntary economic contractual arrangements. No one advocates prior restraint to regulate journalistic expression, even though great harm has come over the century from the promotion of authoritarian ideas. Likewise, we do not advocate the regulation of political expression and religious beliefs, however bizarre and potentially harmful they may seem. Yet we casually assume it is the role of government to regulate personal behavior to make one act more responsibly. A large number of us in this Chamber do not call for the regulation or banning of guns because someone might use a gun in an illegal fashion. We argue that it is the criminal that needs regulated and refuse to call for diminishing the freedom of law-abiding citizens because some individual might commit a crime with a gun. Random drug testing is based on the same assumption made by anti-gun proponents. Unreasonable efforts at identifying the occasional and improbable drug user should not replace respect for our privacy. It is not worth it. While some Members are more interested in regulating economic transactions in order to make a fairer society, there are others here who are more anxious to regulate personal behavior to make a good society. But both cling to the failed notion that governments, politicians and bureaucrats know what is best for everyone. If we casually allow our persons to be searched, why is it less important that our conversations, our papers and our telephones not be monitored as well? Vital information regarding drugs might be obtained in this manner as well. Especially we who champion the cause of limited government ought not be the promoters of the roving eye of Big Brother. If we embark on this course to check randomly all congressional personnel for possible drug usage, it might be noted that the two most dangerous and destructive drugs in this country are alcohol and nicotine. To not include these in the efforts to do good is inconsistent, to say the least. Unfortunately, the administration is now pursuing an anti-tobacco policy that will be even less successful than the ill-fated Federal war on drugs. I have one question for my colleagues: If we have so little respect for our own privacy, our own liberty and our own innocence, how can we be expected to protect the liberties, the privacy and the innocence of our constituents, which we have sworn an oath to do? Those promoting these drug testing rules are well motivated, just as are those who promote economic welfare legislation. Members with good intentions attempting to solve social problems perversely use government power and inevitably hurt innocent people while rarely doing anything to prevent the anticipated destructive behavior of a few. It is said that if one has nothing to hide, why object to testing? Because, quite simply, we have something to keep: our freedom, our privacy and the fourth amendment. The only answer to solving problems like this is to encourage purely voluntary drug testing, whereby each individual and each Member of the House makes the information available to those who are worried about issues like this. 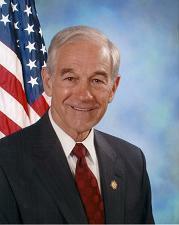 1998 Ron Paul 35:5 We argue that it is the criminal that needs regulated perhaps should be, We argue that it is the criminal that needs to be regulated.